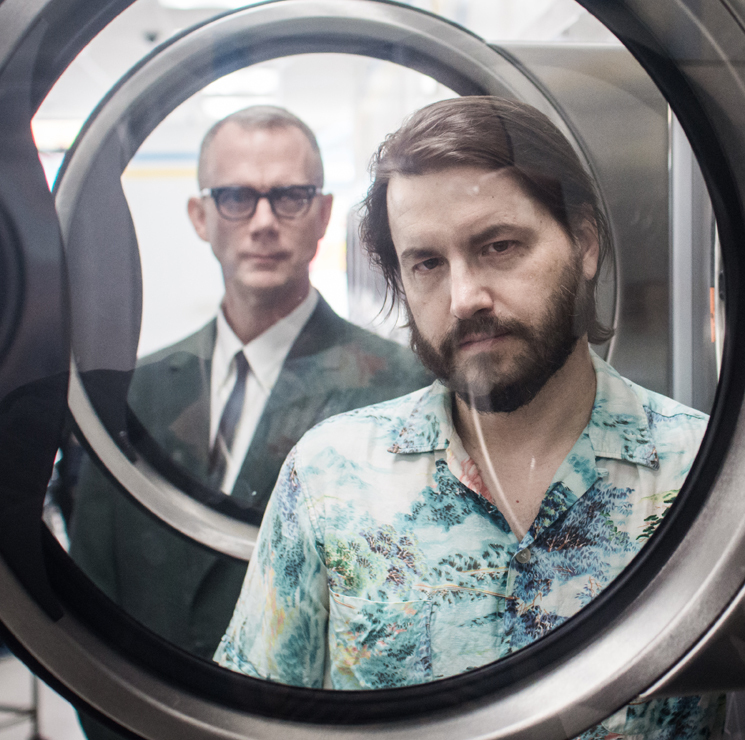 Matmos are taking another spin at the experimental cycle on their new album, Ultimate Care II. The ninth LP from the Baltimore-via-San Francisco duo of Drew Daniel and MC Schmidt was written and recorded using only sounds from their Whirlpool Ultimate Care II washing machine. Released as a uninterrupted 38-minute single piece, Ultimate Care II is the latest in long-form conceptual compositions from the band, as Matmos have previously created albums using samples from surgery tools, without microphones and through the power of ESP. The first line of inquiry about such a project is the most obvious: why? "It's such a un-glamorous answer," Schmidt tells Exclaim! "We take turns being in charge of the records [and] Drew's ideas are insanely complicated, so I always want to react to keep balance to our laughable career." Daniel responds, "I think that Martin is driven by a sonic intuition. In this case, the washing machine is a part of our routine, just like everyone who doesn't want to smell really terrible. Dealing with the sound of laundry is an imposition into the rhythm of your time, with something that's going to take 40 minutes and you have to commit to that fact." Recorded in their basement, which doubles as the couple's laundry room and their recording studio, Ultimate Care II focuses on the domestic side of Daniel and Schmidt's relationship, something Daniel confirms. "Because I'm a professor, Martin has become a sort of 'house husband.' I don't do the laundry, he does, and to me it's fascinating and kind of revealing that Martin made it about his own identity." Daniel expands on the domestic undertones on the album, pitting their latest work as a sort of response to the theatricality of EDM. "I think it's cool to push back against the idea of escapism in electronic music. There's something realistic about risking the drabness of laundry. This world that we're in, the fact that you also have to wash your clothes is beautiful and kooky and fun. It cuts against a lot of the way electronic music is marketed." "As far as personal expression goes," Schmidt sums up, "in a weird way, we make a far more personal statement about ourselves with this washing machine than anyone even can with a guitar."